"Nothing compares to actually holding a piece of history in your hands. A book can't do that." They are hunters with their eyes to the ground, moving slowly through woods and fields and listening for the all-too elusive sound of something underground. The members of the metal detector club Diggin the Rock are looking for history hiding in the dirt. When the machine in their hands blurts out a "ping," it could be the sound of a long-buried secret. 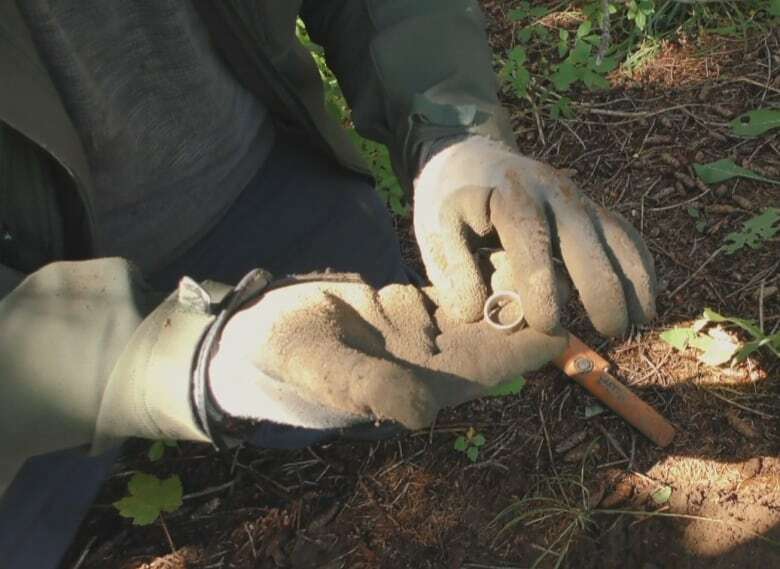 "The Newfoundland earth is full of history," said Darrell Steele, as he passed his metal detector over the ground in the woods near Pippy Park. 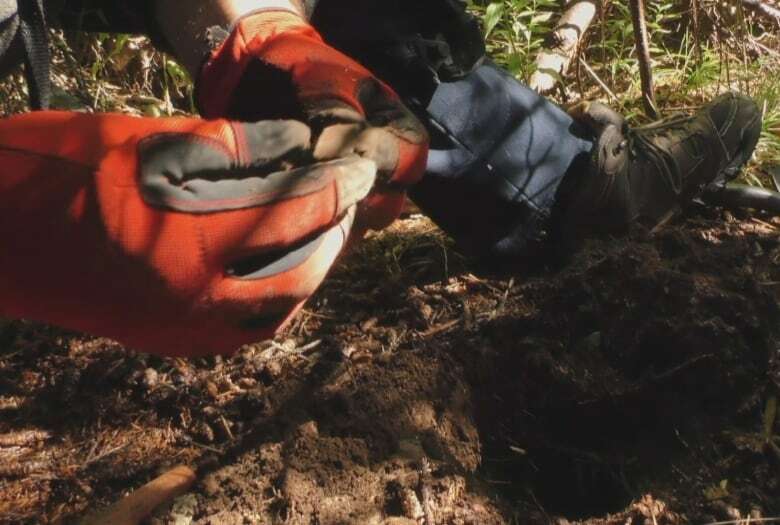 He got into metal detecting 12 years ago, after years of hiking the trails that used to be the Newfoundland Railway. "I always enjoyed history," he said. "But nothing compares to actually holding a piece of history in your hands. A book can't do that." Fellow enthusiasts Mike and Lynette Stamp also chase the "ping" of the metal detector. Mike took up the hobby when he retired in January 2017. It's something Lynette always wanted to try; for her, it's the old coins that are the big attraction. "My favourite coin I found is a Spanish cob also known as pieces of eight," she said holding a tiny, battered piece of metal. "It is from the 1600s." She believes the old coins proves that pirates were active in Newfoundland back at that time. Steele's favourite finds are cannonballs. Over the years, he has found several balls dating back to the 19th century. He has had great luck with his metal detector on Mount Scio, the hill behind the Health Sciences Centre in St. John's. "That whole area used to be a firing range," he said. The Department of National Defence has been in touch to find out where he uncovered the cannonballs. Steele said the military wants to document the area as a "legacy site." Steele started the Diggin the Rock Facebook group a few years ago and it now has members from across the province and around the world. These metal heads share videos and pictures and discuss potential sites. Before a dig, Steele's first move is to study Google Earth. He looks for areas that may have been farmed at one point in history. Rock walls and furrows in the ground are good signs that treasure may be hiding under the sod. The group follows its own strict code of ethics. The first is never go on private property without permission and never take your metal detector to a historic site. Another key rule is to always return the dig site to its original condition. "We also take away with us whatever we find; even if it is garbage. This is because we don't want to leave it for others." Steele said. "It's great bit of exercise," said Mike Stamp. "You get a lot of comments and questions from people. They want to know what you have found and how the machine works." 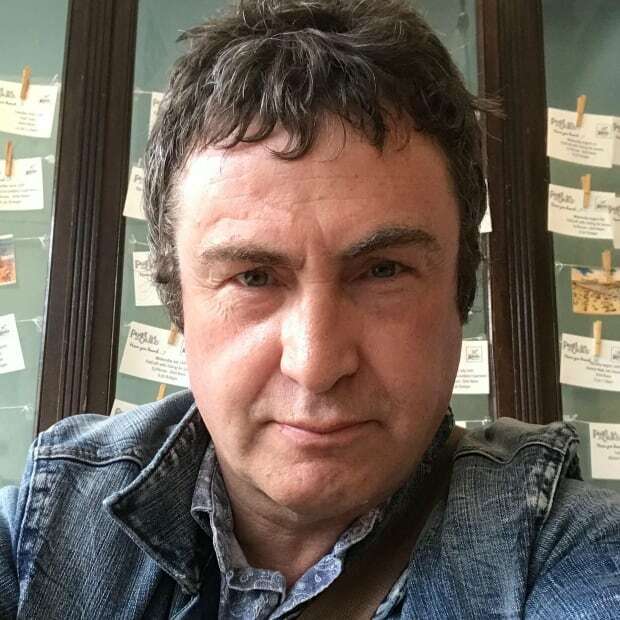 He said anyone who is interested in metal detecting should contact the Facebook page, and suggests buying a mid-range detector first. It will cost about $300. "If you buy a cheap one, you will only get nails and bottle caps near the surface and be disappointed." He warns that after a "ping" reveals that first big find, a user will always be looking down and wondering what history is hiding below the surface.